How to Rip a GeoTIFF Off Google Maps | Life, The Universe and ... Everything! 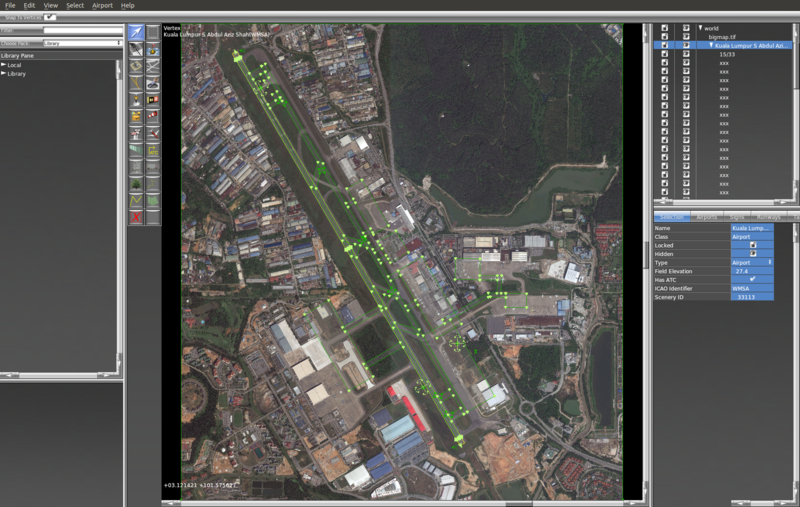 Google Maps allows you to view satellite imagery at various resolutions via a web-based interactive display. The maps are transferred as partial tiles, making access quick as it only downloads the parts you need as you to pan and zoom. You can take a snapshot of the screen using your operating system's Print Screen feature, but what if you wanted a high-resolution image that covered an area larger than your screen? And what if you needed the image to be geo-referenced? 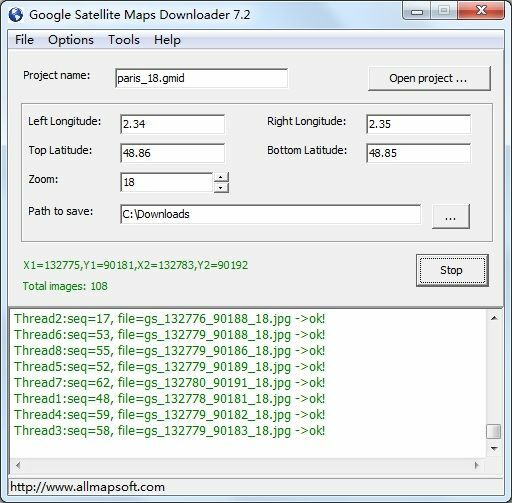 Well, I came across a self-described "cute" shareware utility called Google Satellite Maps Downloader from AllMapSoft (http://www.allmapsoft.com/gsmd/index.html). For USD29, you can give it a lat/long bounding box (I used google earth to help me determine these), and it will then go off and download all the relevant tiles that cover that area. It runs only on Windows and I found it runs happily within a Virtual Machine. Since the storage for the tiles and the final .bmp can be quite big, depending on the area you want, I wrote the data to a network drive with larger storage. You can specify the zoom level you want, higher levels give more details but take up a lot more space. Interestingly, google maps coverage varies by zoom level, so you may have to reduce the zoom level if the software complains it is not able to find any tiles at that zoom level. The download time varies depending on the area of coverage and zoom level. The program will use multiple sessions to download tiles in parallel, so it can make better use of the available bandwidth on your internet connection. However to protect itself from abuse by such tools as this, google imposes bandwidth and limits on the number of tiles that can be downloaded in a specific period, and if you exceed it, it will block your IP from accessing maps. You can set a "sleep" delay to get around this. In the worse case, if your IP gets blocked, you can pass the problem on to somebody else work around it by resetting your router and acquiring a different IP address (If you're unfortunate enough to have a fixed IP, you'll probably have to wait a day or two for the block to be automatically released by google). For smallish sizes, say around the size of a *cough* *cough* small airport at zoom level 19, you probably won't run into any limits. Google Satellite Maps Downloader tracks each area you download as as separate "project" and you can save the working files for each project into its own folder. There are also facilities to re-dowload failed images. I did run into a problem once where it got stuck thinking it had finished the download halfway, and refused to re-download the missing tiles (I had about 2000 out of 4000 tiles). I got around the problem by deleting my working directory and re-downloading everything (sorry google). Once done downloading the tiles, there is an option in the software to combine the tiles into a huge .bmp file, and provide the geographical reference for the boundaries of the final image (the final bounding box will usually be larger than what you specify, as it is depending on the coverage of each tile). A companion .wbmp has the metadata for the file. Furthermore, the tiles are watermarked, so you probably want to keep the images for your own non-commercial use and not distribute them. Btw: AllMapSoft also makes separate products for downloading map images from other providers (e.g. Bing Maps). For a bit more money, they also sell an all-on-one utility that can download from any of the supported map providers.